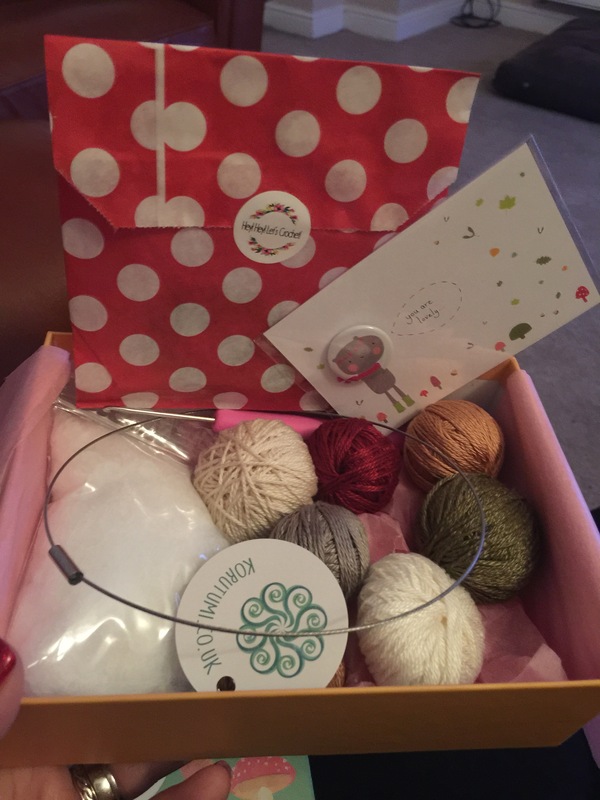 I have been very good, well I think so anyway, I’ve not purchased anymore yarn…….. Well kind of anyway! Well what can I say, Amanda Bloom has out done herself yet again, seriously if you haven’t picked up one of these boxes do! 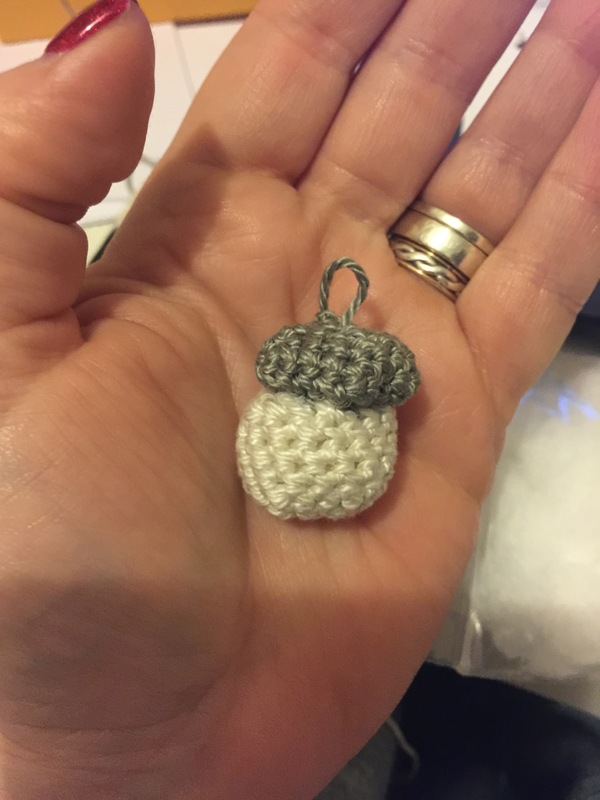 They’re simply stunning, this month is very all about Autumn, leaves, acorns and mushrooms, the box came with the most delicious DMC cotton yarn that has a lovely sheen to it, and the pattern uses a 2.5mm hook, it’s just beautiful!! 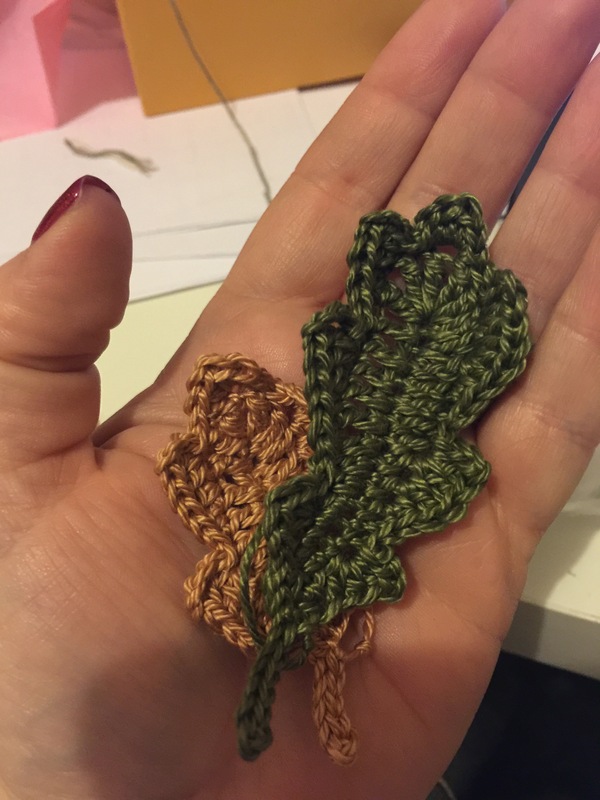 There are two projects in this one, a wreath, which I’ve almost finished, and a nice brooch which will look stunning on my lime green Coat, for sure. Check out my baby acorns and leaves! 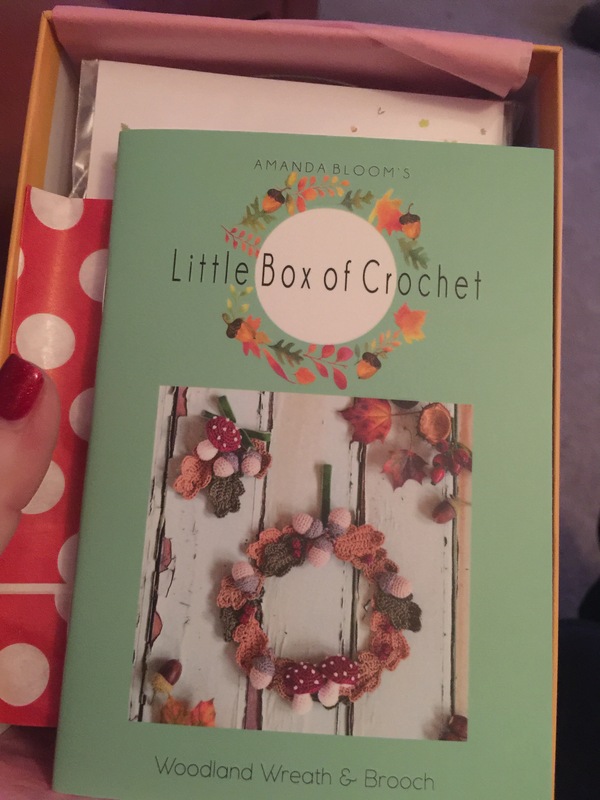 I love Amanda’s boxes, they’re such a treat and I really do learn something new each month. 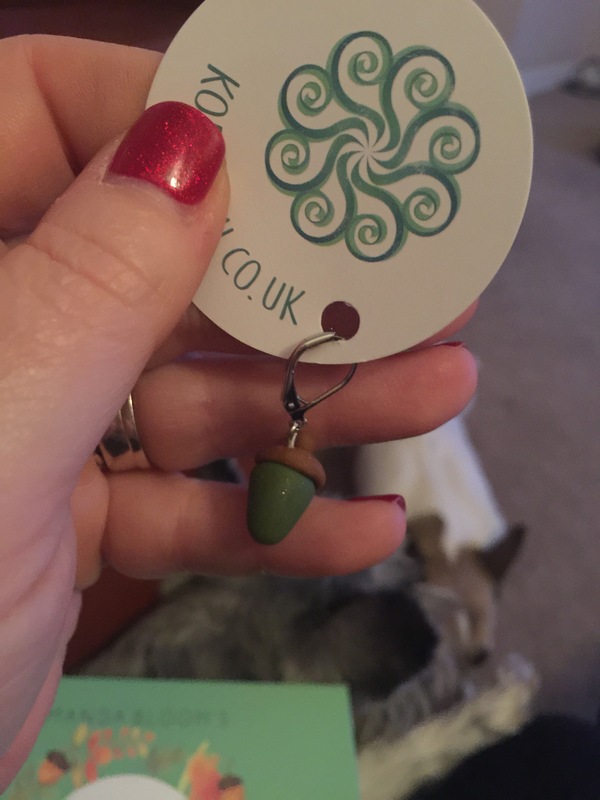 Did I mention I’m going on frank and olives crochet retreat? 😂 yes I know, sorry if I’m boring you, but only 2 weeks today!!! Excited much!!! My brother in laws surgery went very well, he is still in hospital but he’s surprisingly up and in his feet, so I’m pleased about that. 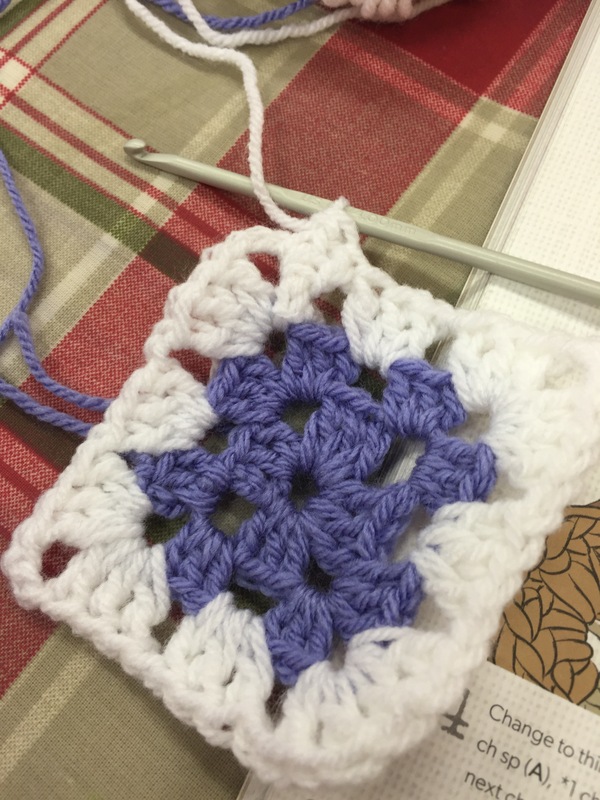 As you know I started a group at hobbycraft Warrington a few months ago, and we have about 10 people that come some not every week but we do have a few regulars, well we had a lady start this morning and she hadn’t crocheted before but brought hooks and yarn and asked if we could help her, so we did and by the end of group she had managed to do this!!! I’m so pleased!!! And so was she, she’s done a cracking job, fingers crossed she comes back next week! Whilst we were in hobbycraft the lady that looks after the yarn area asked us if we would be able to help them with the big knit for the big issue, making hats and gloves and scarves for those that are homeless, we were so lucky we were given a 400g ball each of women’s institute Aran and a Pom Pom maker, so thoughtful of hobbycraft, so we’re all planning on getting stuck in this week, I’m more than happy to put my wip to one side, it must be awful for those outside all night in the cold.